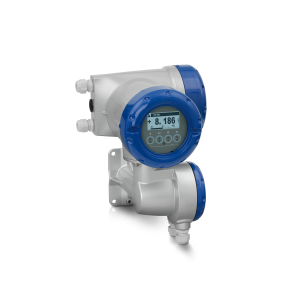 The OPTIFLUX 6300 is an electromagnetic flowmeter (EMF) for advanced hygienic applications in the food sector. 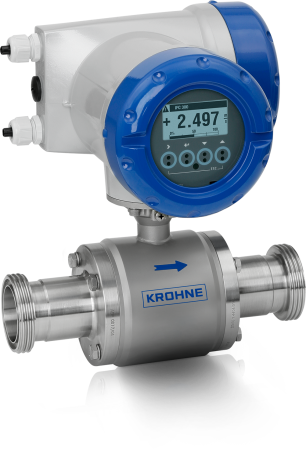 The high-end flowmeter is particularly suitable for blending, dosing or filling applications where a high accuracy (±0.2% of measured value) is priority and extensive diagnostics are required. In addition, it can even be used for low conductivity liquids of ≥1 μS/cm (e.g. glucose, fruit concentrates). The 3A and EHEDG certified flowmeter comes with industry specific installation lengths. It has no crevices, gaps or blind spots and is specifically designed to stay clean and sterile. This way, it complies with the most stringent demands in the food and beverage industry. Due to its reinforced PFA liner, the OPTIFLUX 6300 also withstands high process temperatures (up to +140°C /+ 284°F) and vacuum impacts. 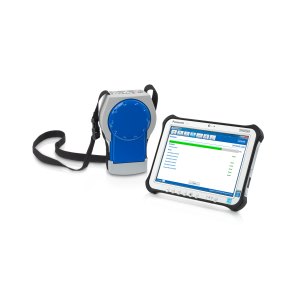 The EMF can be used in CIP or SIP cleaning procedures. 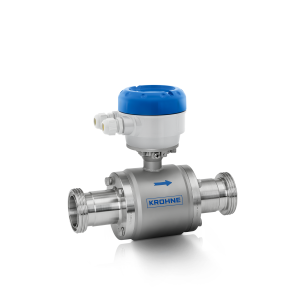 In addition to flange and weld-end connections, the OPTIFLUX 6300 offers a large number of other hygienic fittings, including DIN 11851, DIN 11864, clamp and SMS. It also comes with various digital communication options. A full on-site verification of the meter without process interruption can be carried out using the OPTICHECK service tool. Suitable for solid content up to 70%, e.g. yogurt with fruit pieces, soups with vegetable pieces etc. Diagnostics incl. conductivity, electrode error, ambient and process temperature etc. For large-scale production plants with diameter up to DN150 / 6"